How do I make clear that a paraphrase is on the same page as a quotation I’ve given in the previous sentence? How do I show the blank space between stanzas when quoting from a poem? Thou thing of years departed! Is it OK to edit out speech tics such as “er” and “um” when I quote from a personal interview? Yes, you may edit out speech tics from personal interviews, but you should mention in a note the first time you quote from the interview that the quotations have been lightly edited for concision and readability. How do you cite a famous saying? As Alexander Pope said, “A little Learning is a dang’rous Thing” (line 215). If a person’s speech continues in the next paragraph, should the next paragraph begin with an open quotation mark? Yes. When a speaker’s words in dialogue extend to more than one paragraph, use an opening quotation mark at the beginning of each paragraph. Use a closing quotation mark, however, only at the end of the person’s speech, not at the end of every paragraph. What percent of a source may I directly quote in my paper? Writers, including student writers, should quote only what is necessary to make their point. Relying on a percentage to determine what’s necessary is unlikely to be useful. Writers preparing to publish their work should keep copyright laws in mind and consider the principles of fair use. One consideration in determining fair use (but certainly not the only one) is the amount borrowed. The MLA is updating its fair use guidelines, formerly published in the MLA Style Manual. In the meantime, we recommend the guidelines offered by the United States Copyright Office and the Association of University Presses. If I repeatedly use a quotation from the same source, do I need to use quotation marks each time? Moretti takes issue with this tendency to regard literature at any level as “a world” complete and classifiable rather than one in production and changing unevenly. Ironically, coming from someone obviously given to spatial diagrams of literary phenomena, “distant reading” adheres to the principle that “spatial proximity never turns into functional interaction” (14). Moretti won’t let us construe the distance implied by distant reading in opposition to the closeness and polysemy of literary language. Should I create an entry for an e-mail conversation? How you cite e-mail messages depends on how you are using them in your work. If you refer generally to a series of e-mail exchanges that you had with the same person over several months or if you repeatedly discuss or quote from such an exchange, you could refer to the e-mail messages in your prose or in an endnote. But if you quote directly from a single message that you received or paraphrase its contents, it may be clearer and more economical to create a works-cited-list entry for the message. When I am quoting, do I need to indicate if italics are in the original? No. In MLA style, italics in a quotation are assumed to be in the original unless otherwise indicated. 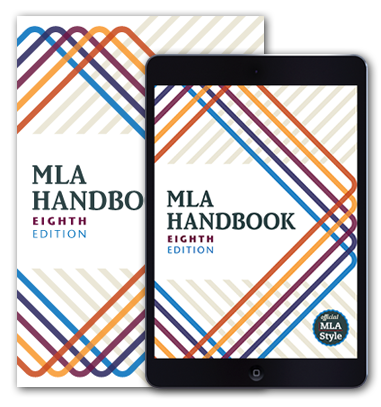 See the MLA Handbook for more details on quoting sources exactly (75) and on italics added for emphasis (86). MLA Handbook. 8th ed., Modern Language Association of America, 2016. How do I cite dialogue spoken by a character in a video game?